The aroma, the warmth, there is nothing like a good cup of coffee to kick start your day or give you an energy boost throughout the day. 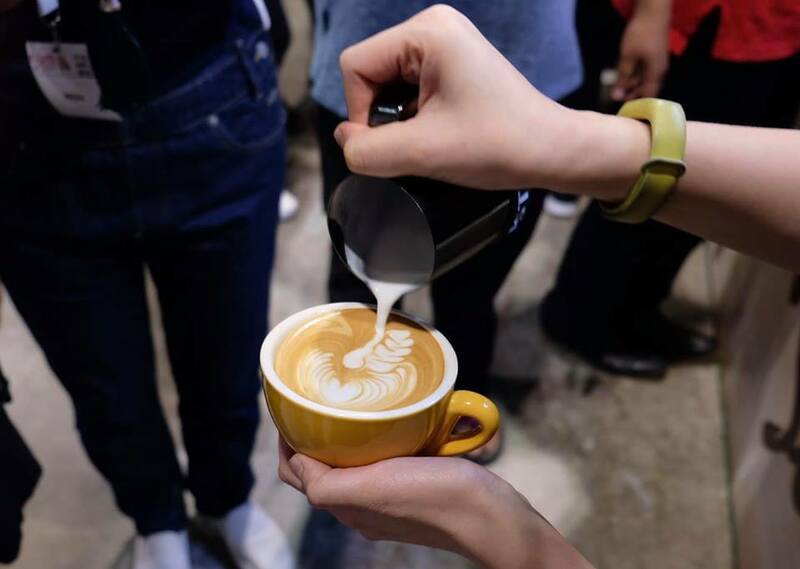 A great barista makes good coffee great, but did you know the right milk can make a whole lot of difference to the way coffee tastes and not to mention the flawless art on a latte? 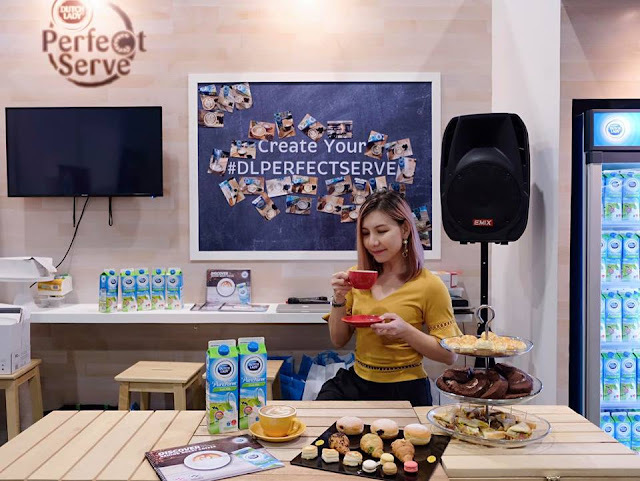 We had the opportunity to learn and experience first hand on the science behind great coffee at the Dutch Lady's booth at Cafe Malaysia exhibition held at MITEC. Stretching, the process of adding air into the milk play an important part! Angle the half-filled jug at an angle until the steam wand is 2mm under the milk's surface to stretch the milk to create foamy beverage such as flat white, latte and mocha (1-2 seconds) and cappuccino (4-5 seconds). Steam the jug of milk, frequently swirling it to achieve the silky texture, paying close attention to the hissing sound as it reaches 60°C- 65°C. Perfectly frothed and textured, the perfect cup of coffee with rich and long-lasting microfoam is now ready to serve for the discerning coffee lovers. 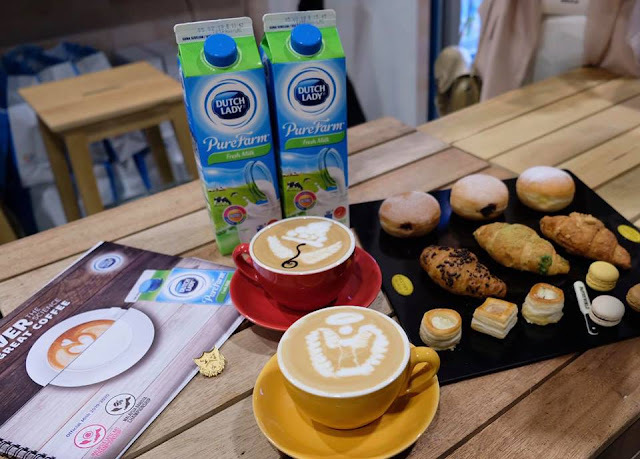 The Dutch Lady Pasteurised Fresh milk perfect balance of protein and fat content is made right to produce a silky smooth froth that is stable and consistent. 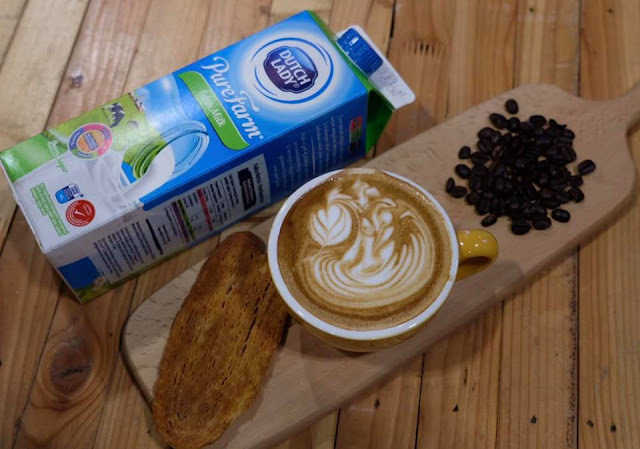 Its rich and creamy taste is perfect for both hot and cold beverage. 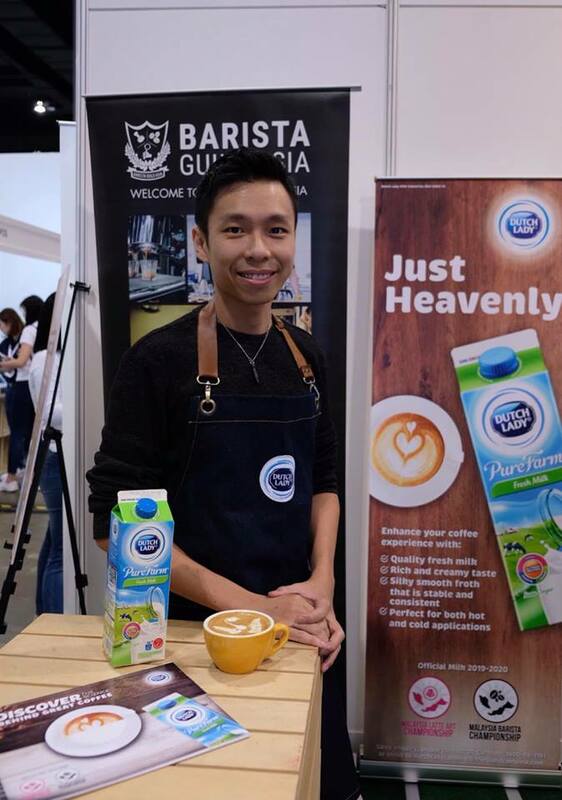 Using the ideal milk for coffee minimise waste, thus helps to maximise profits too. 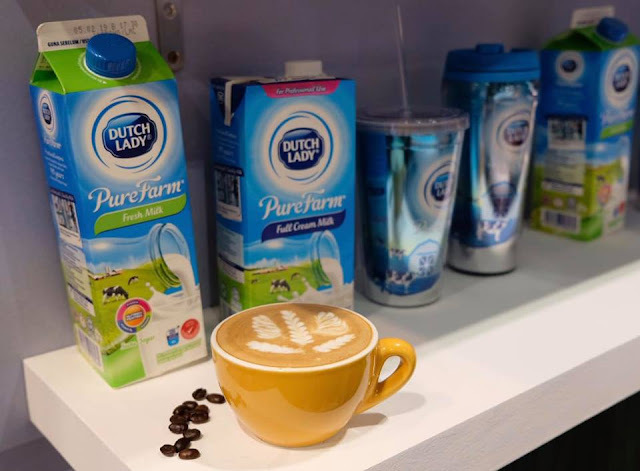 With over 140 years of Dutch dairy expertise, you can rest assured as Dutch Lady Pasteurised Fresh milk follows the stringent internal and external quality, from the source farm right through to the users and consumers. In a nutshell, a perfect cup of coffee is not only determined by the experienced barista or good quality coffee beans, but the type of milk use matters too. 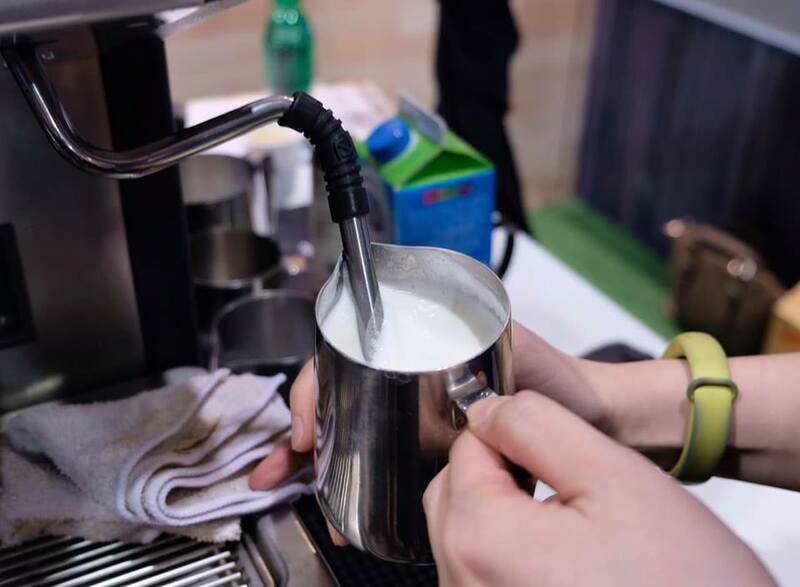 Dutch Lady Pasteurised Fresh milk enhances the flavour, consistency and colour of your coffee, whilst produces rich and lasting dense foam for latte art. Just heavenly!